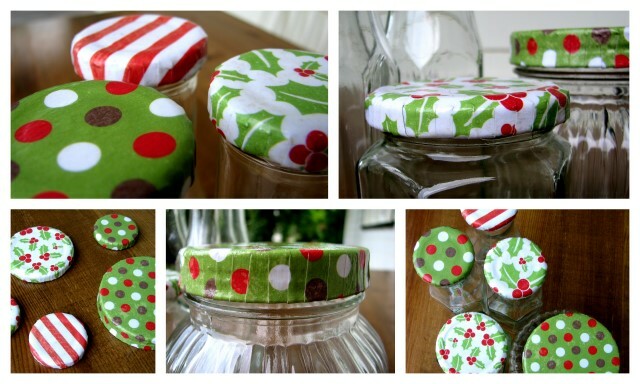 Covered Lids Tutorial plus Homemade Christmas Gifts! 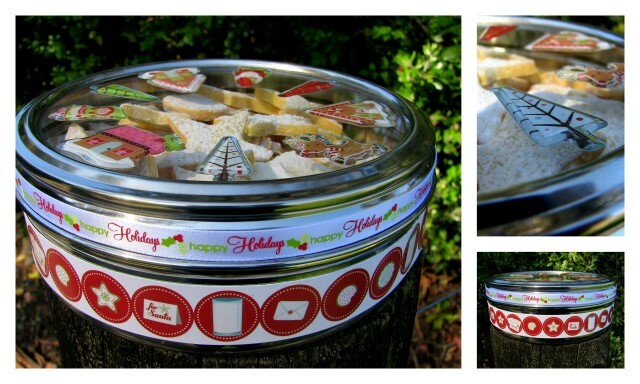 Here are a few ideas for Himemade Gifts this Holiday season. 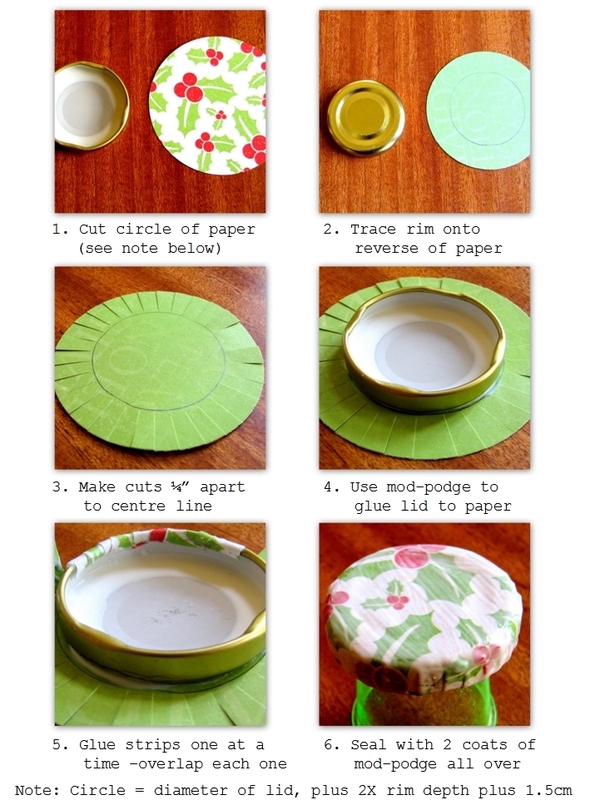 I found this technique on a recycling blog – it’s really simple if you know how! This tutorial below should show you everything you need to know – just leave me a comment if you need any more information. I have used the Kaisercraft Be Merry Collection for these. I also made a few of the paper flowers shown in my tutorial for extra decoration on these bottles. 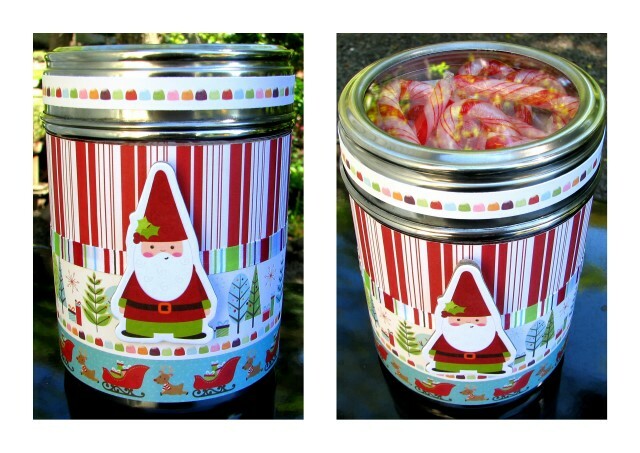 I have once again used the Imaginisce Cottage Christmas Collection for these tins. 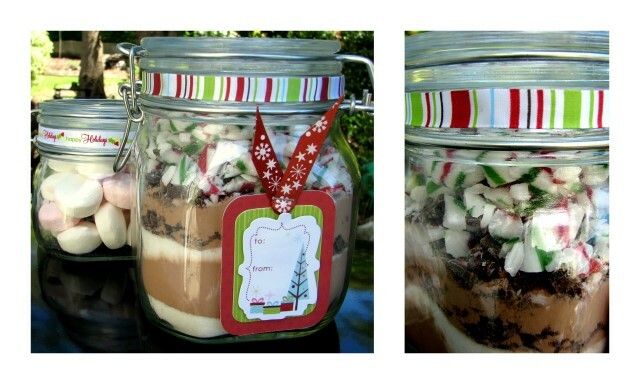 I bought them both really cheaply and loved the fact they had the clear lids so you can see the goodies inside. It really was as simple as wrapping the paper and ribbon around the tins, just taking the time to get the pieces straight. These are so simple it’s almost embarrassing to show them! I loved the idea of doing hot chocolate and marshmallows, until my husband reminded me that Christmas here is in Summer – which I had totally forgotten! 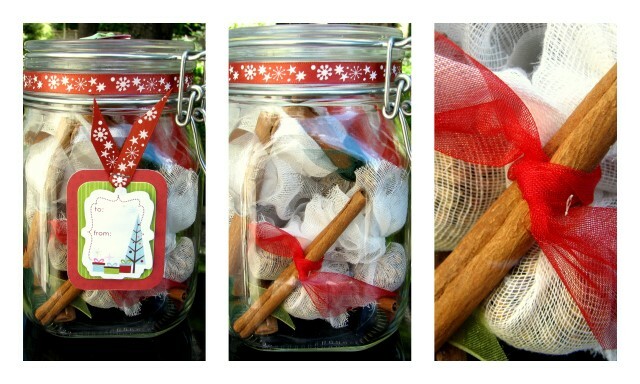 Mulled wine sachets tied with a cinnamon stick and ribbon are great for an adult hostess gift too.. Happy Valentine’s Day & Cards! Cool lid thing! Cool blog actually! Lowri, such fabulous projects! Love the tutorial too! Thanks for sharing!! very cute lids! this is a great lesson. thanks for sharing it. you are so creative! So much clever papercrafting going on here…love your work! I am LOVING your blog and all your great projects! This is very beautifully done ! wow! these are such great ideas!! and so fun! I really love these! Thanks for sharing!!! I am so ready to try!! How cute! It's perfect for that remembrance gift! Thank,s for great post. wow..awesome designs!!! I love this bottle and the design.. you've done great job.. That box design also looking great. Thanks for this great post. Fabulous projects. I used to paint the lids of my decorated jars. Thanks for the idea. and thanks for sharing.